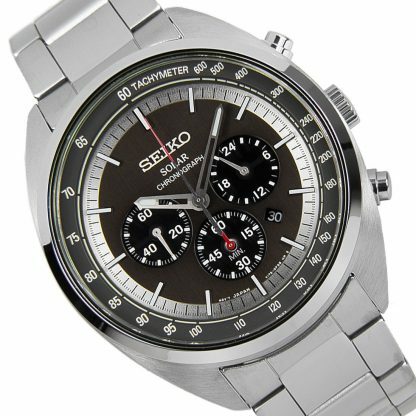 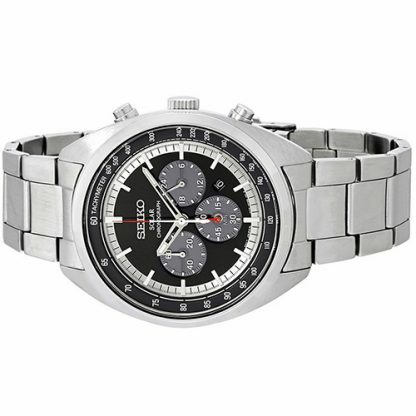 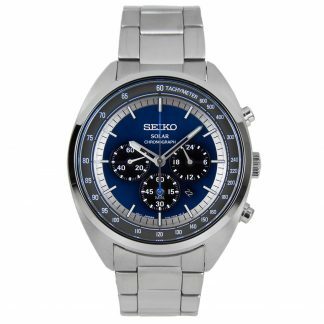 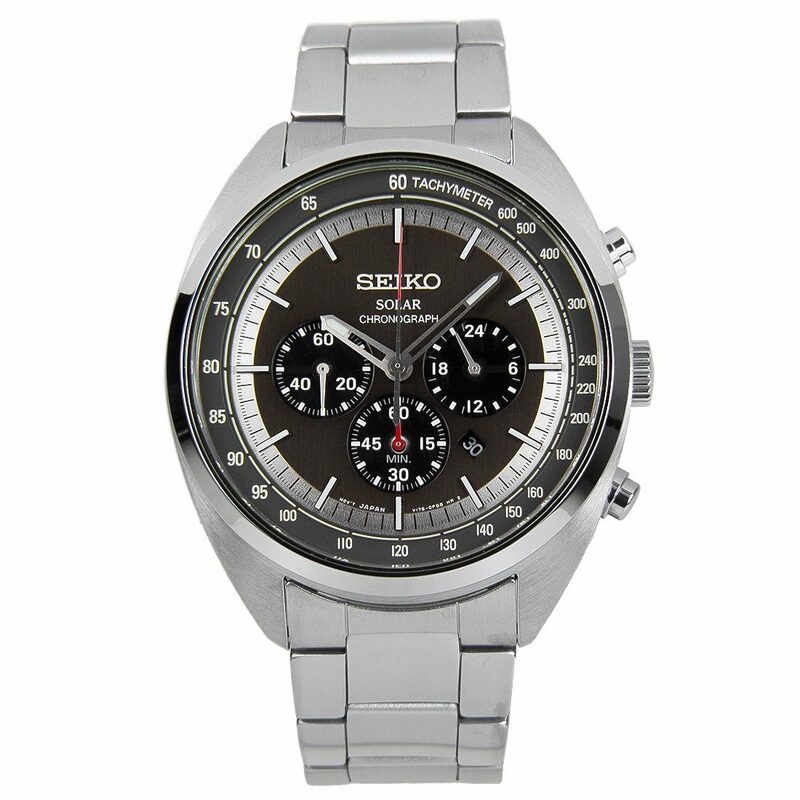 Seiko Black Dial Stainless Steel Men’s Watch SSC621. 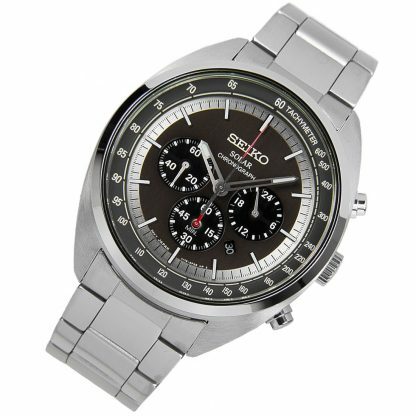 45 mm silver tone stainless steel case with a black dial, a hardlex crystal, silver tone luminescent hands, and white luminescent index hour markers. Minute markers around the rim. 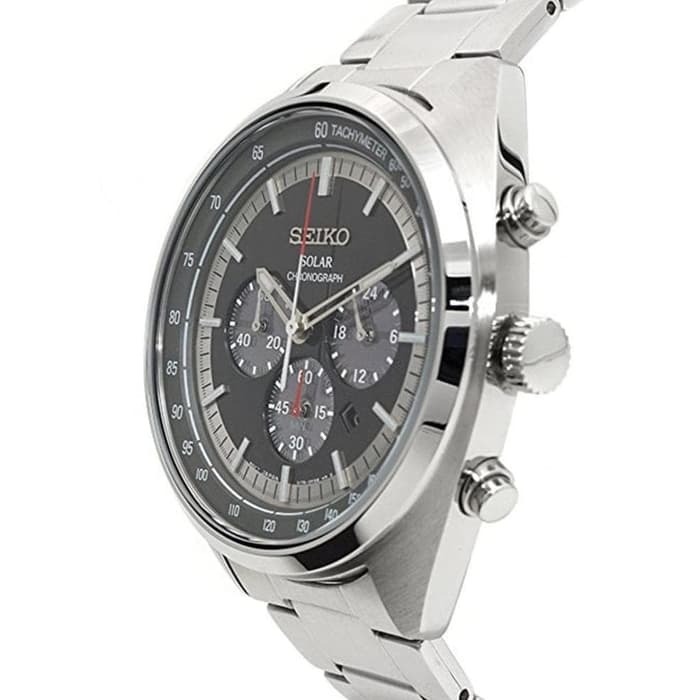 Date window in between the 4 and 5 o’clock positions. 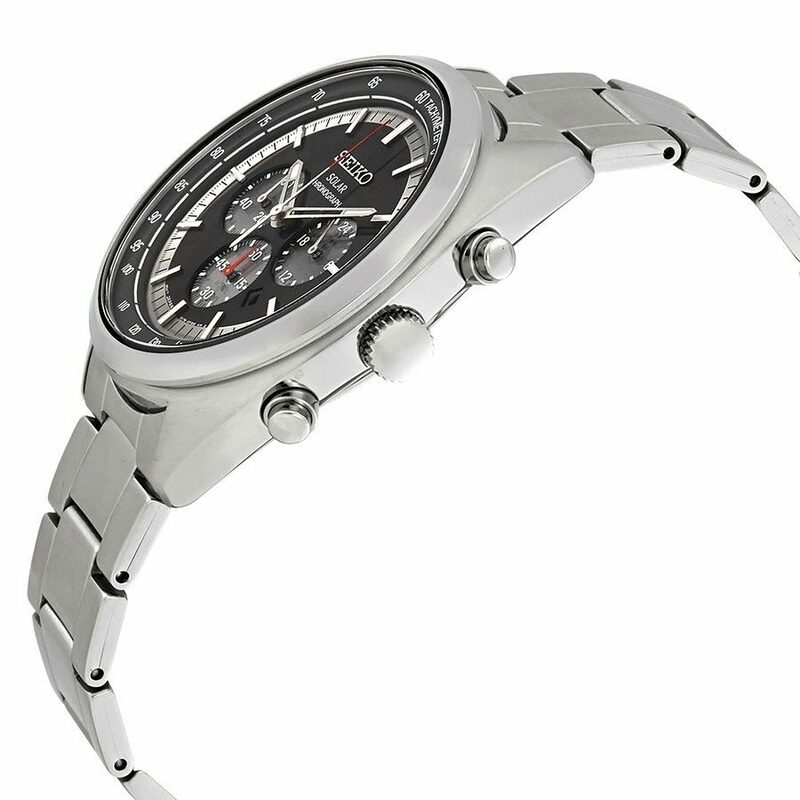 Chronograph with 3 subdials: 60-second, 60-minute, and 24-hour. Tachymeter on the outer rim. Hands: hours, minutes, and seconds. 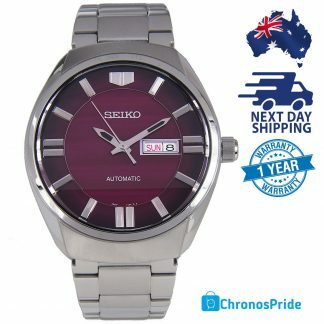 Case thickness of 12 mm. 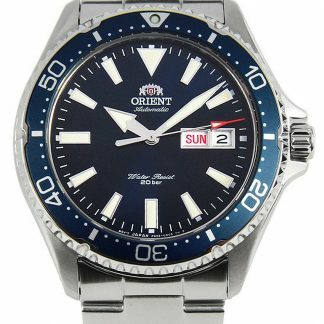 Push / pull crown. 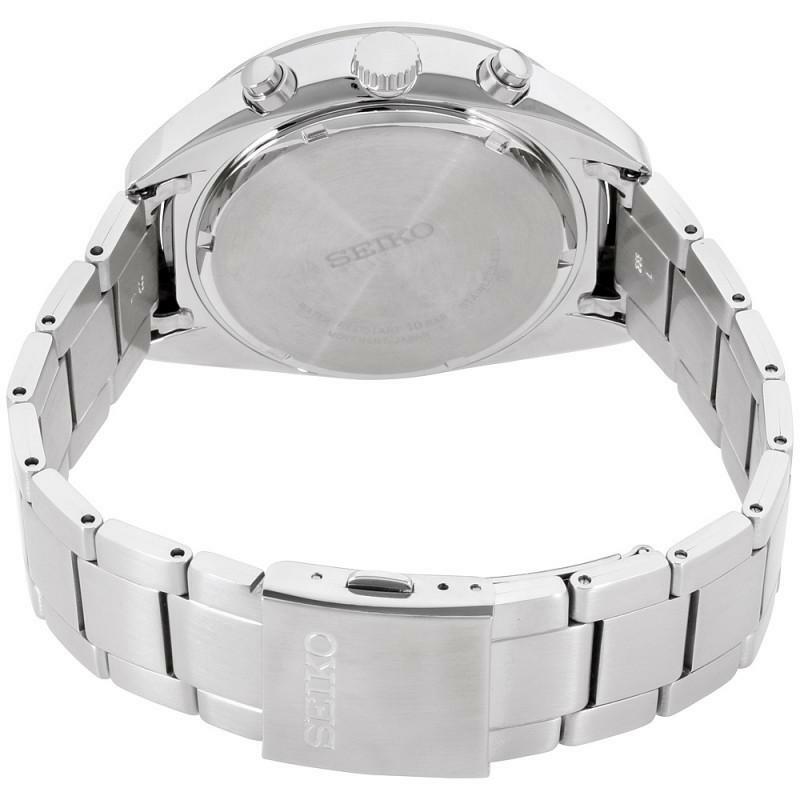 22 mm silver tone stainless steel bracelet with a fold over clasp. 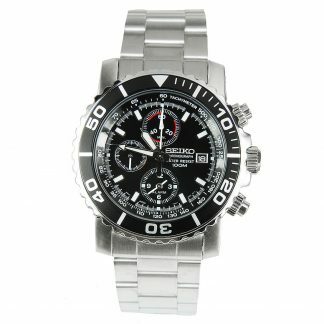 Solar movement and water resistant up to 100 meters. 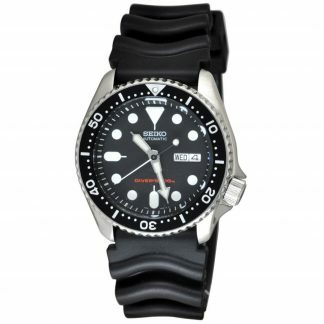 Style: casual watches. A solar deployment model appears to the popular chronograph! One push-style three fold buckle that is available for putting on and taking off. It is the stylish men’s watch which is ecological by many functions.